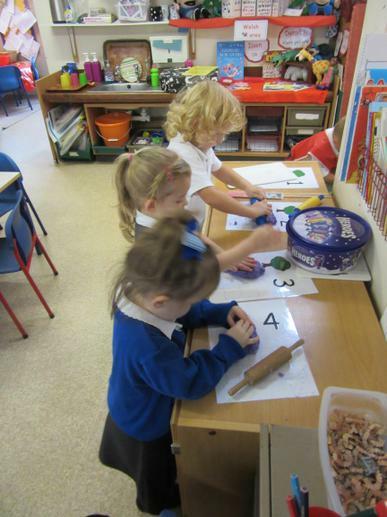 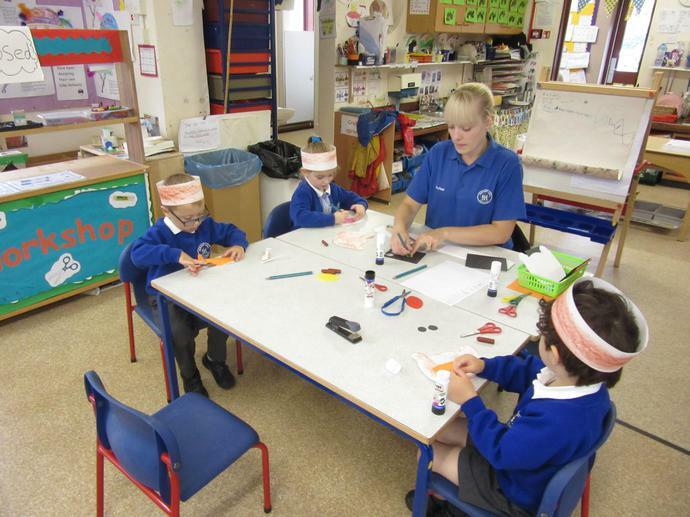 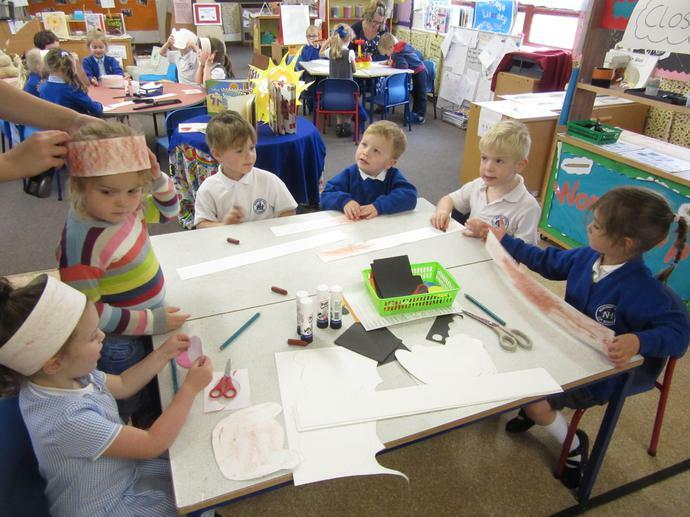 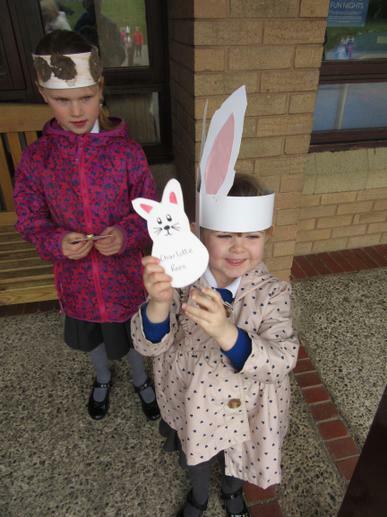 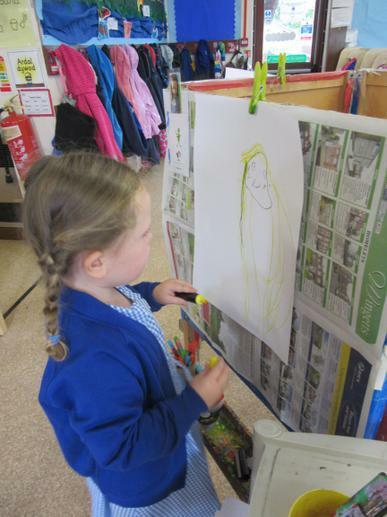 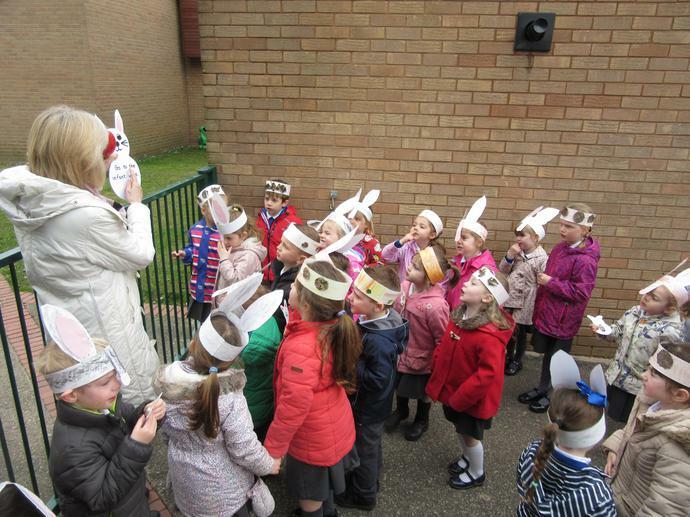 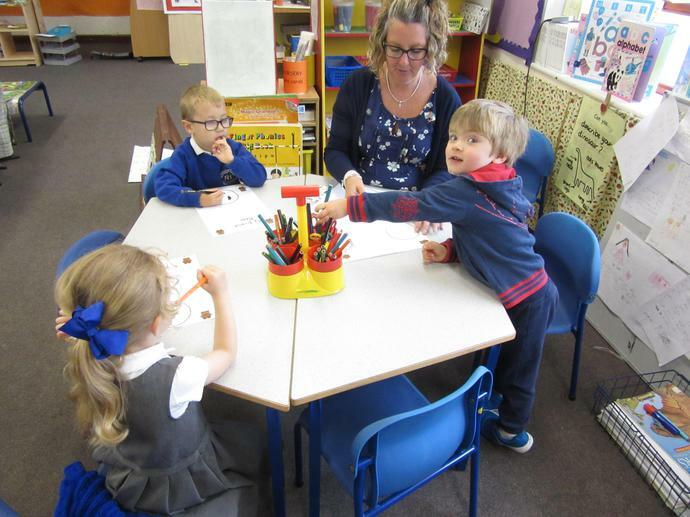 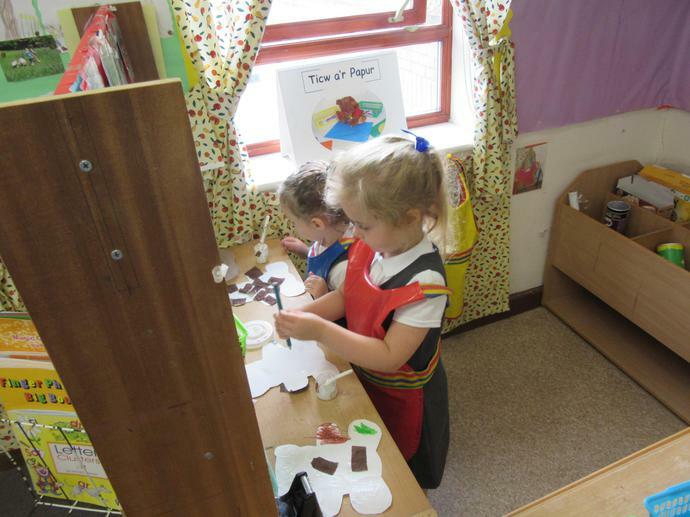 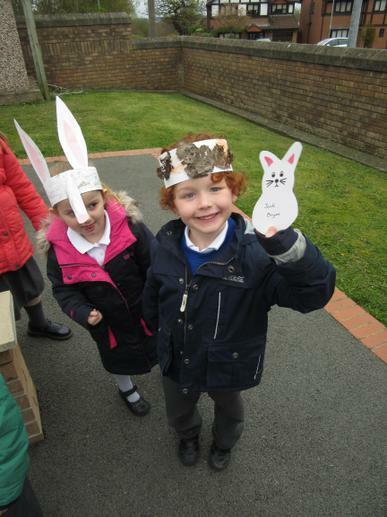 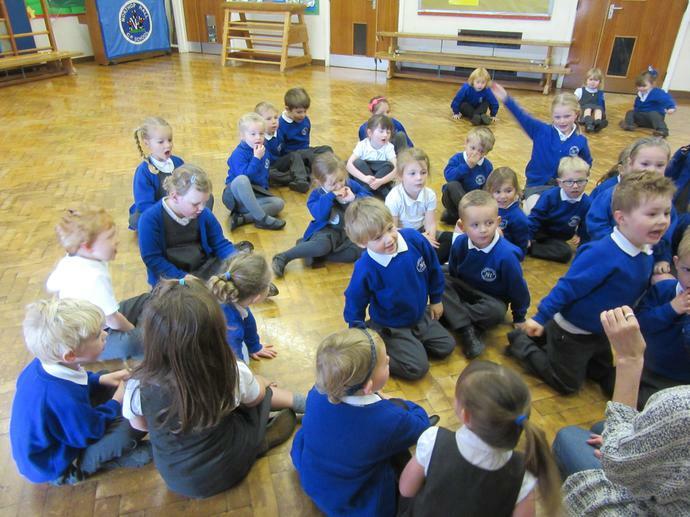 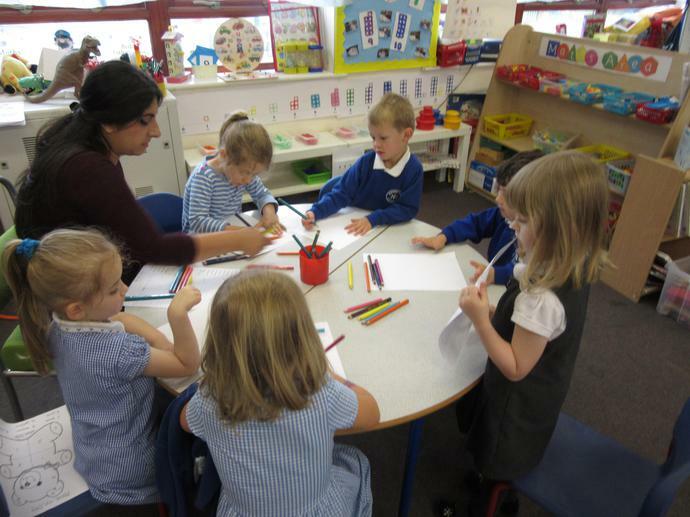 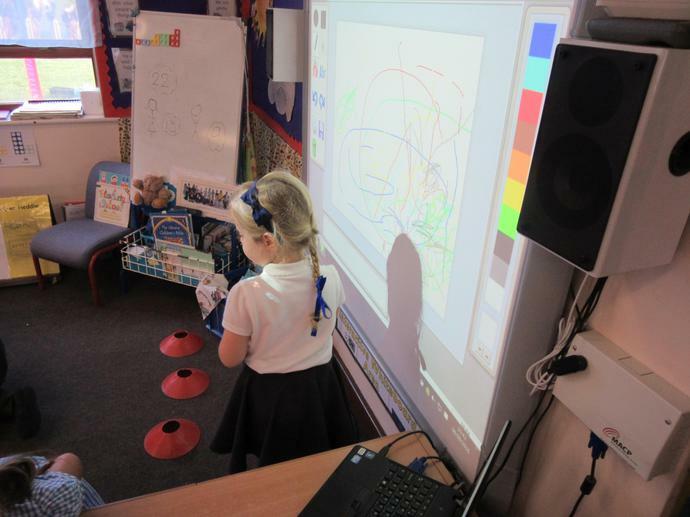 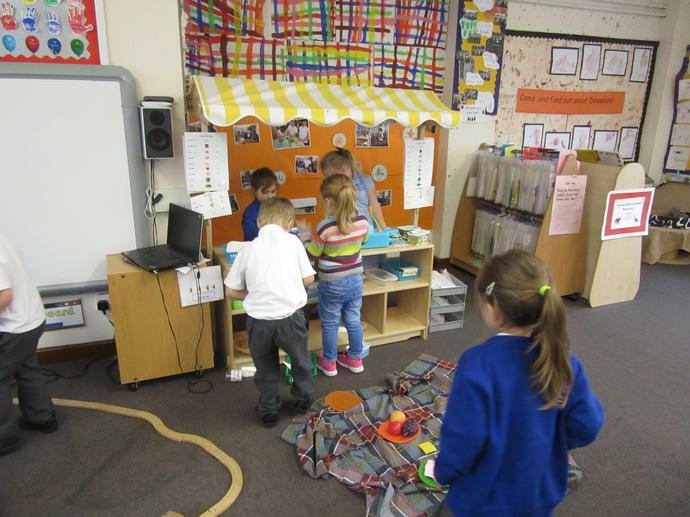 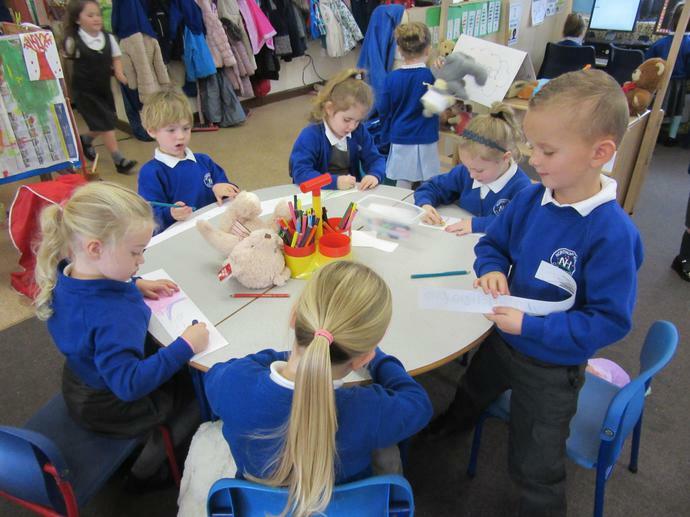 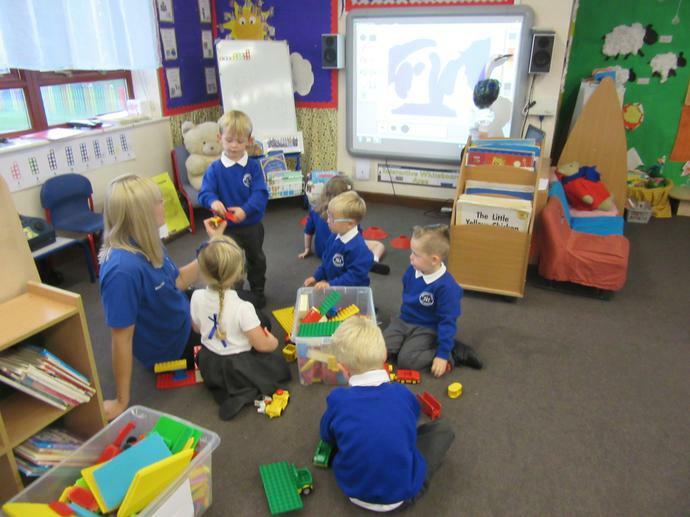 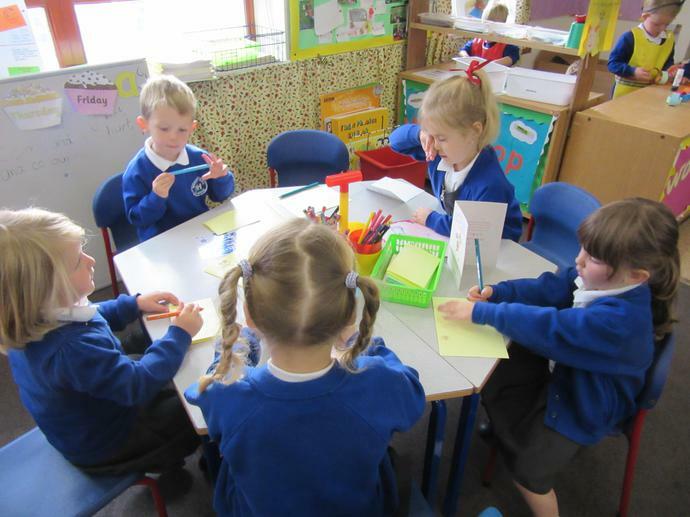 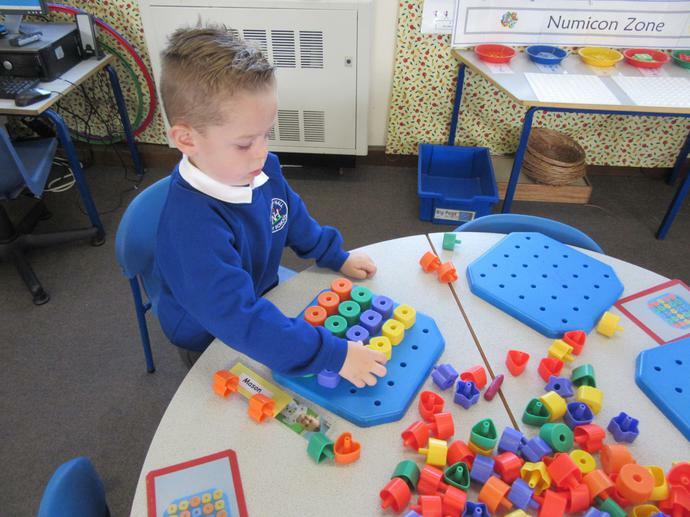 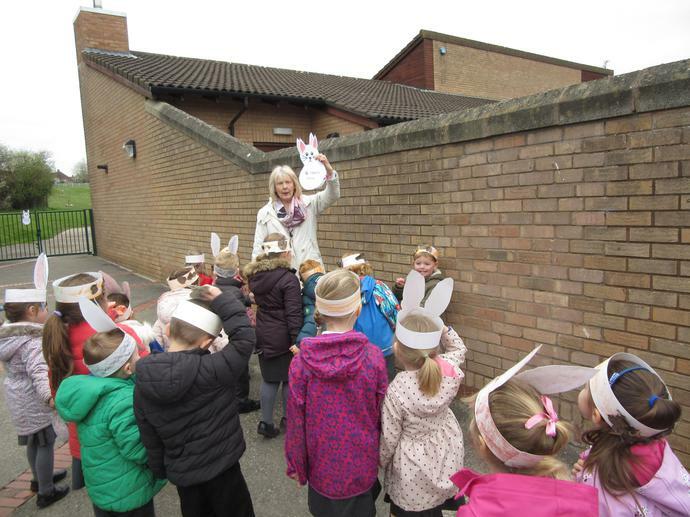 We had fun being in Reception. 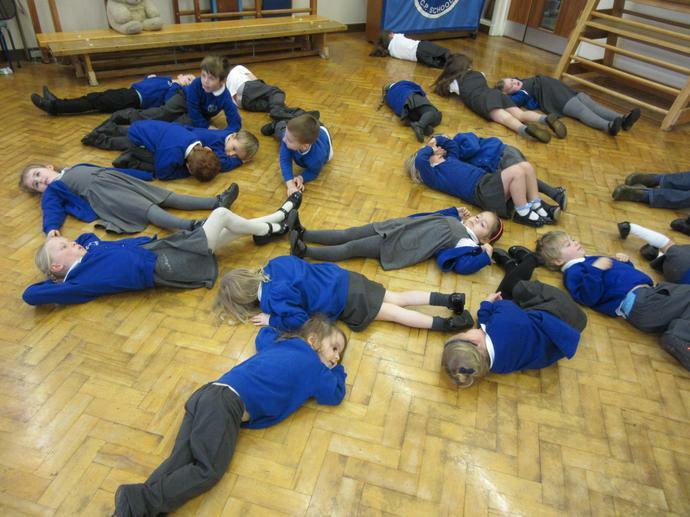 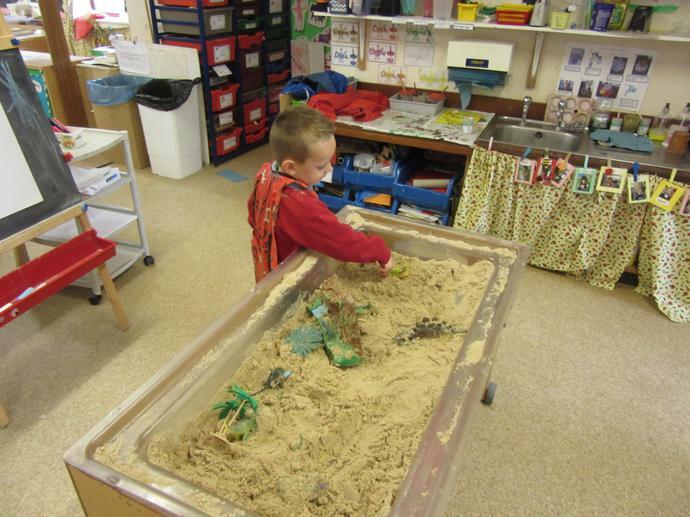 Our topic this half term is all about Dinosaurs. 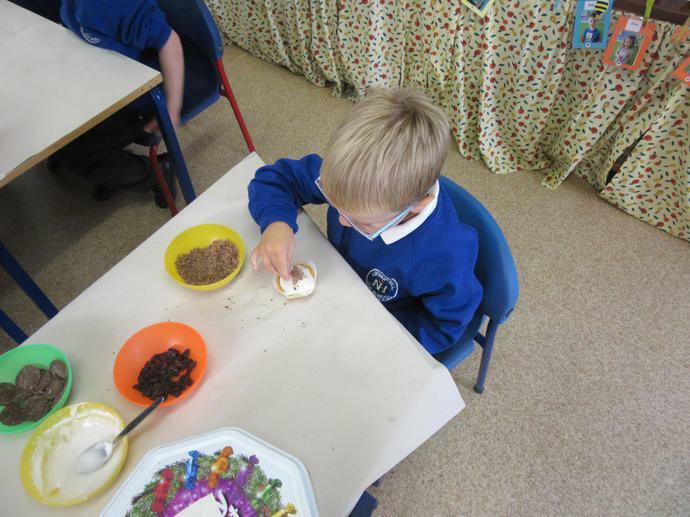 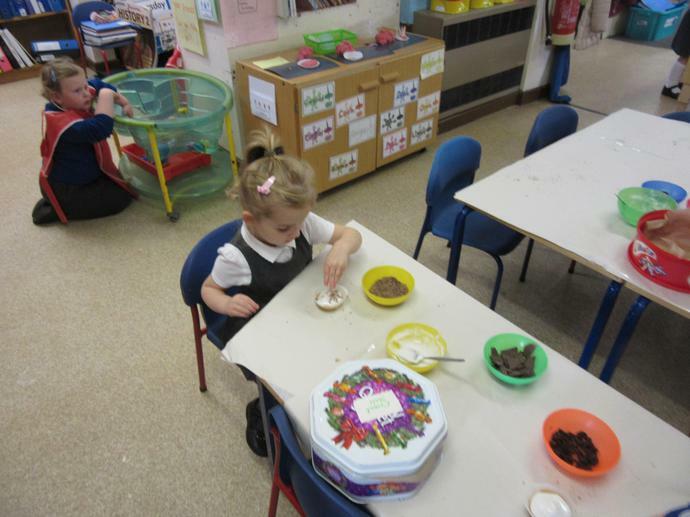 We had fun making clay dinosaurs. 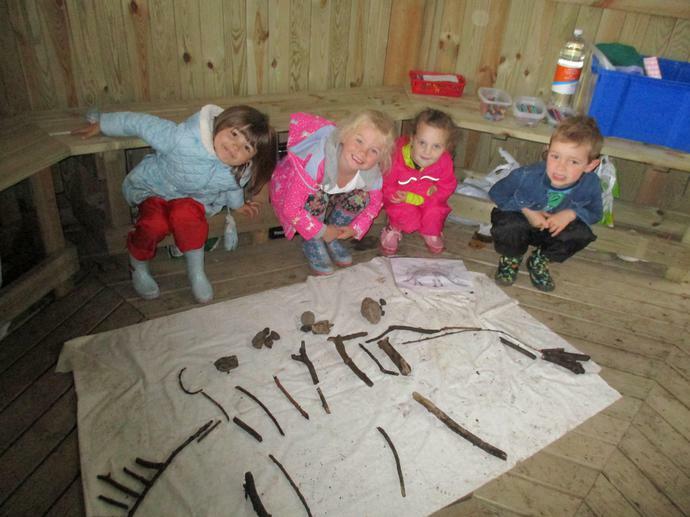 Look at our dinosaur bones! 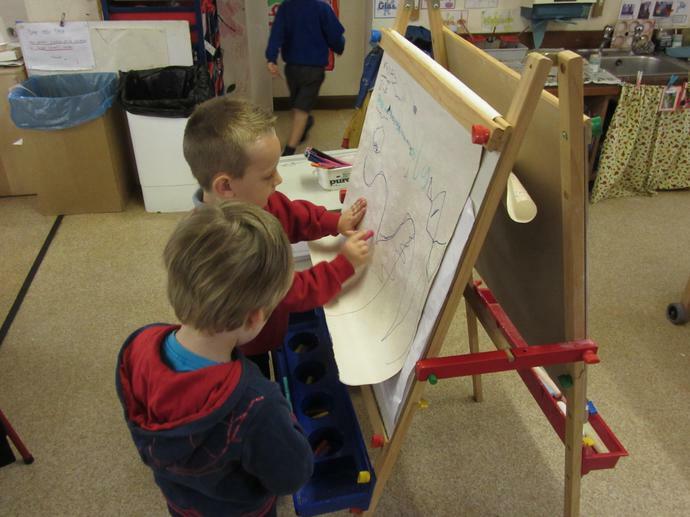 We had to design our dinosaurs first. 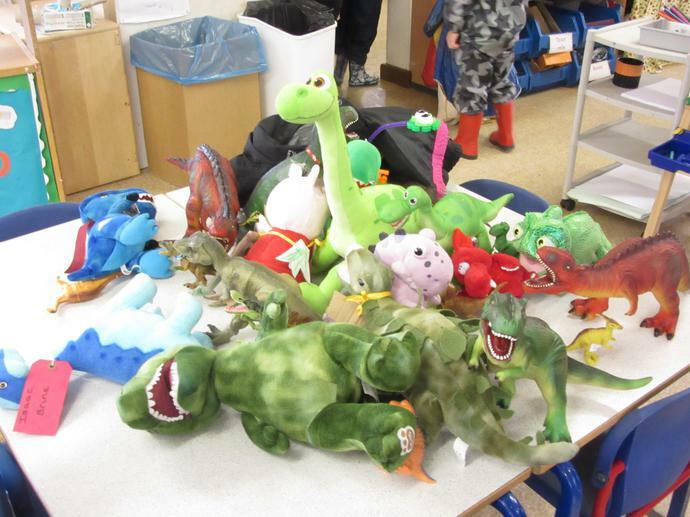 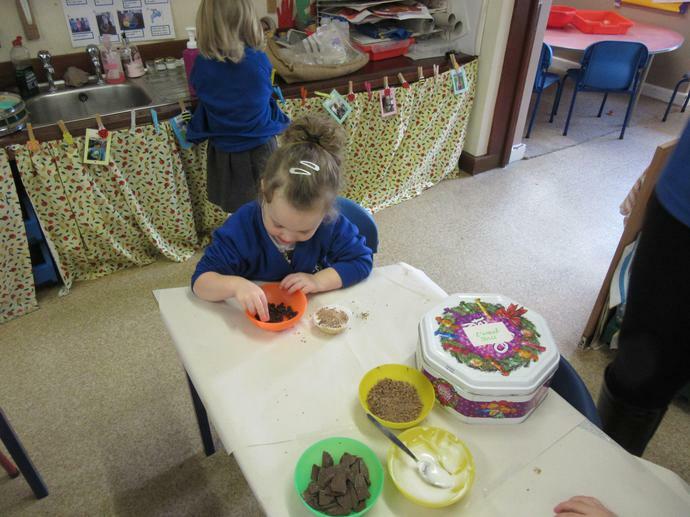 We had fun sorting the dinosaurs. 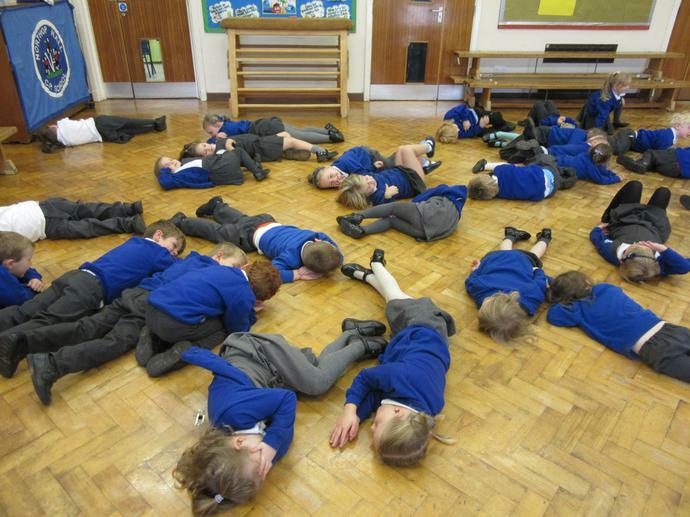 There will be NO NURSERY in the morning. 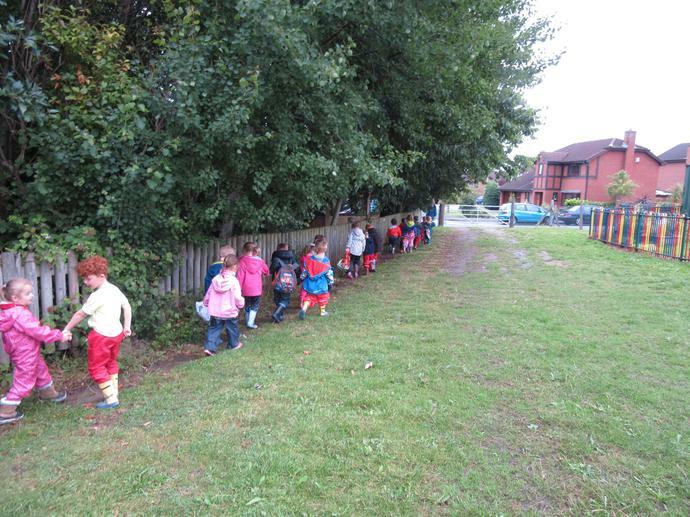 Children to arrive at 12.30. 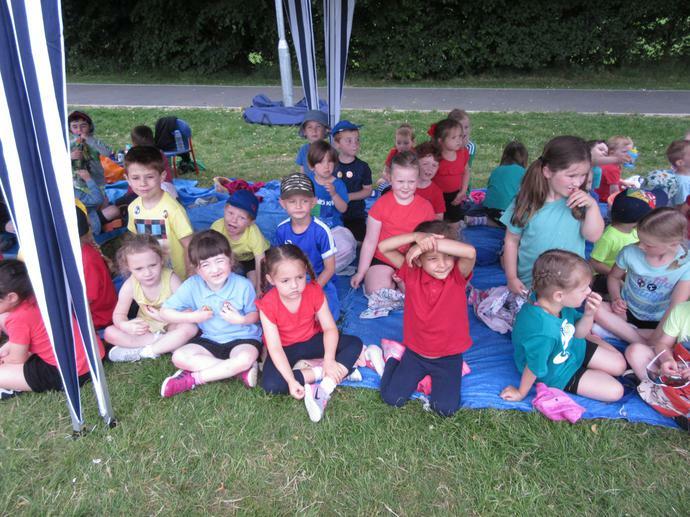 Don't forget suncream applied before and a labelled water bottle. 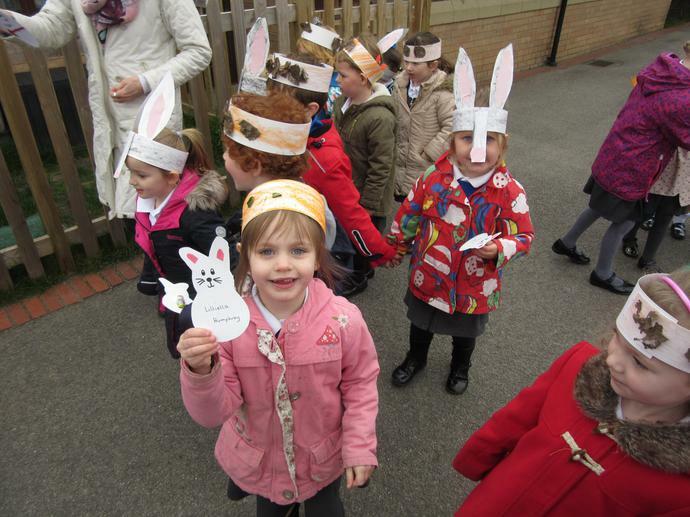 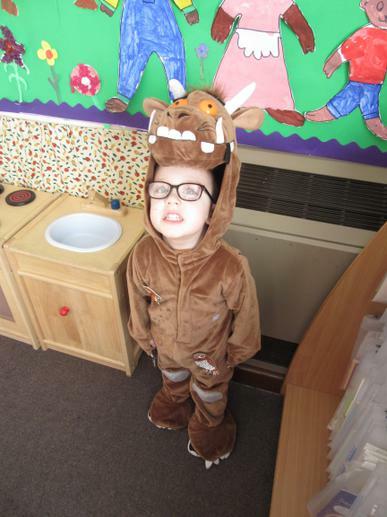 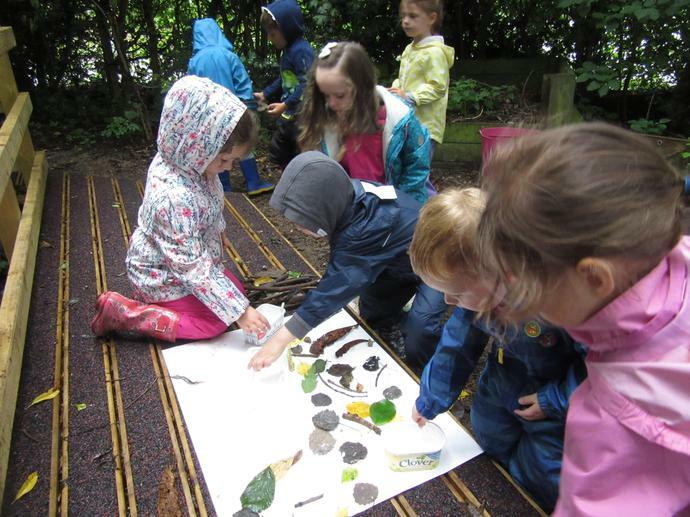 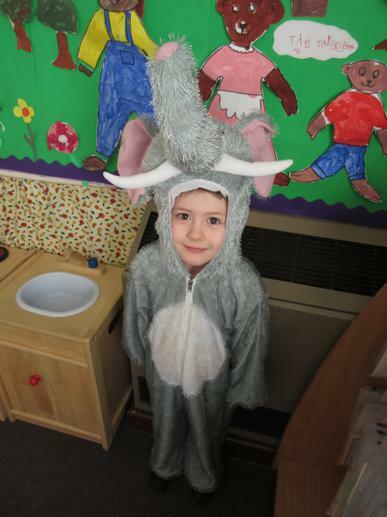 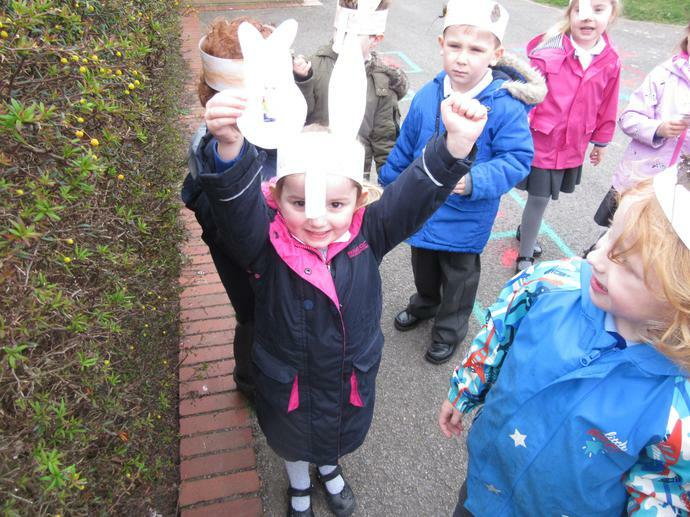 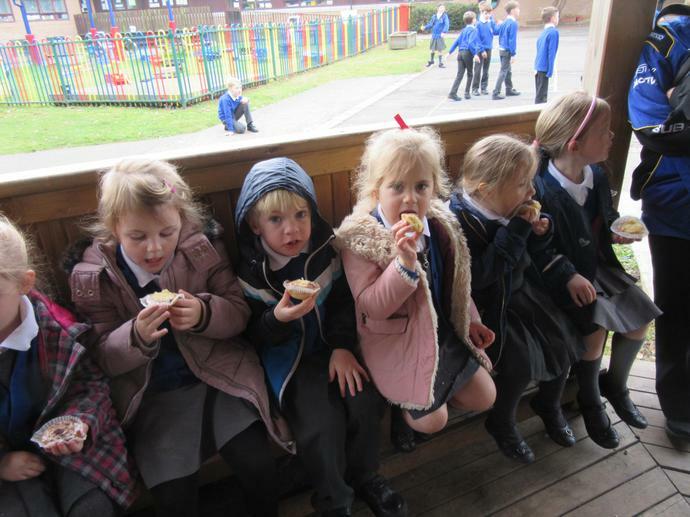 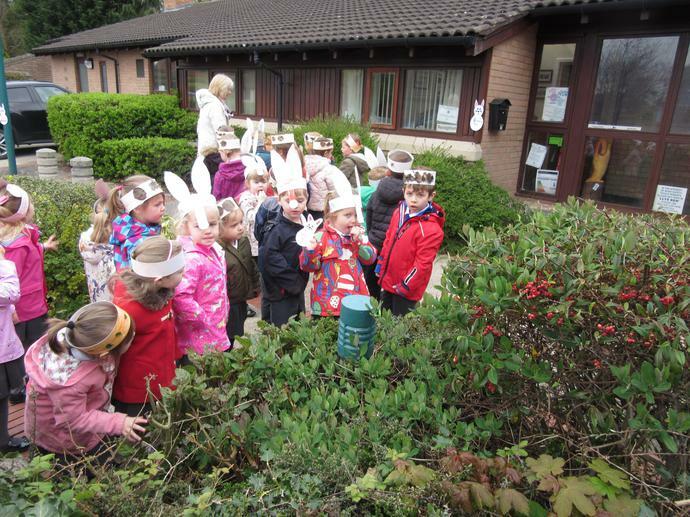 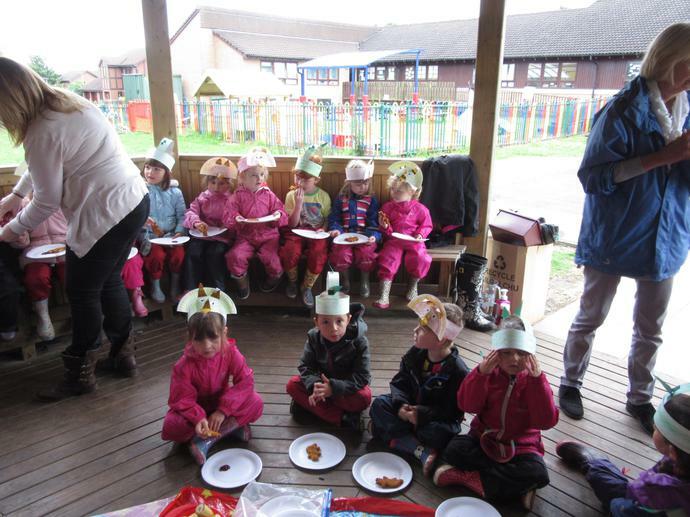 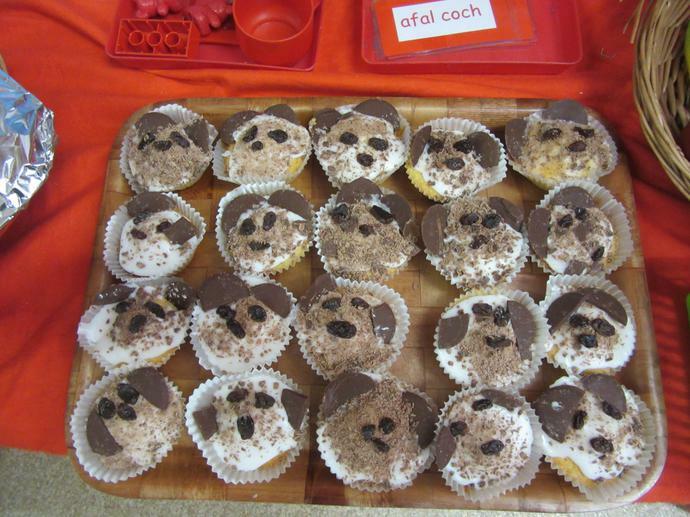 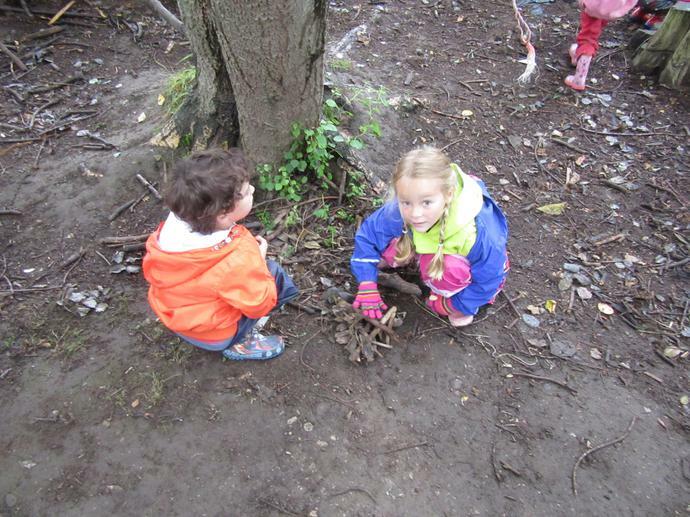 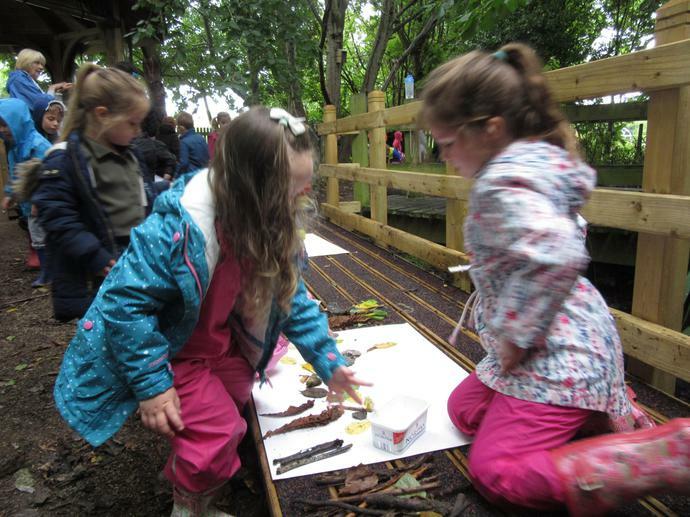 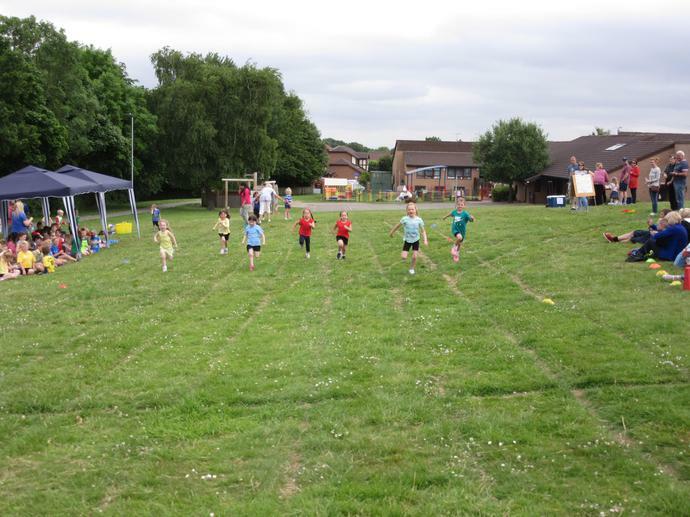 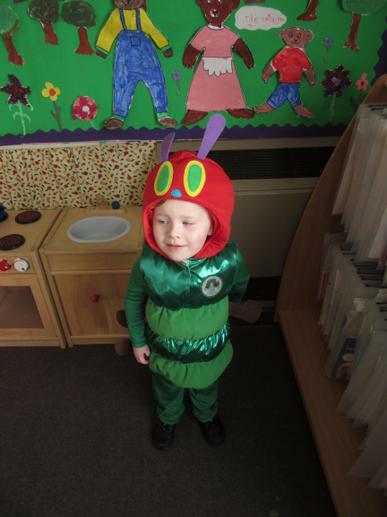 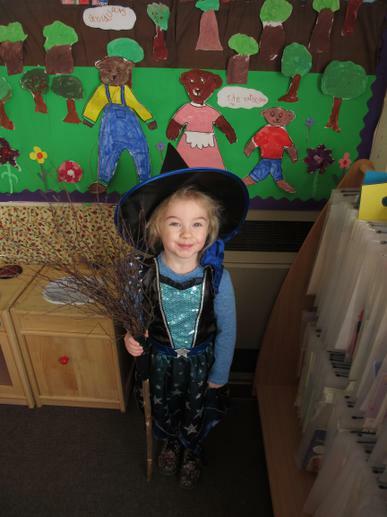 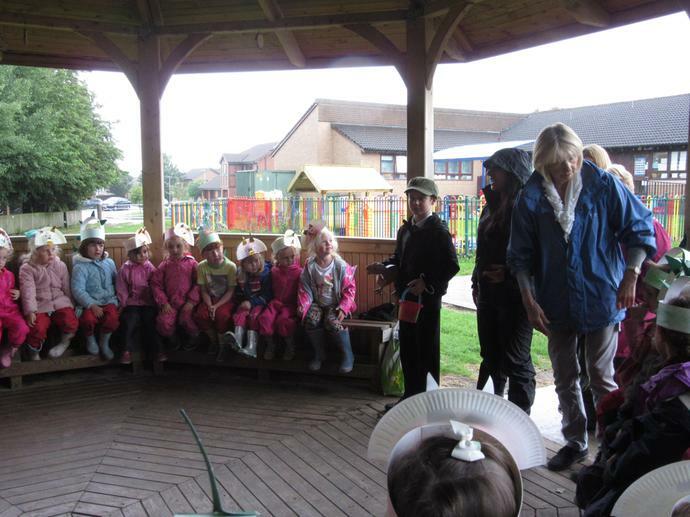 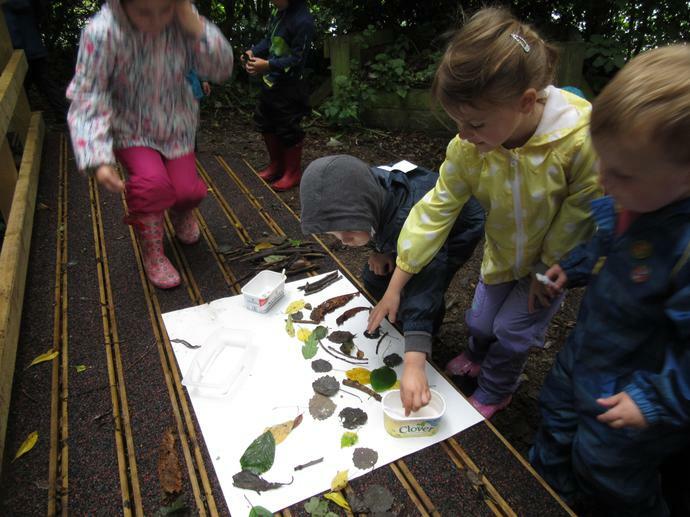 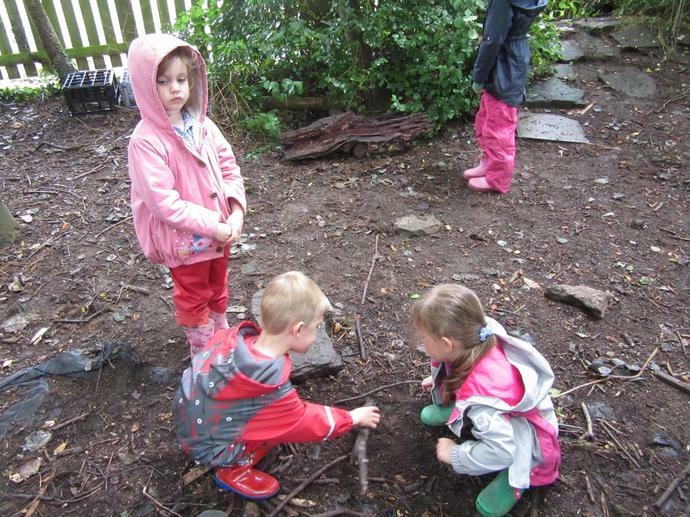 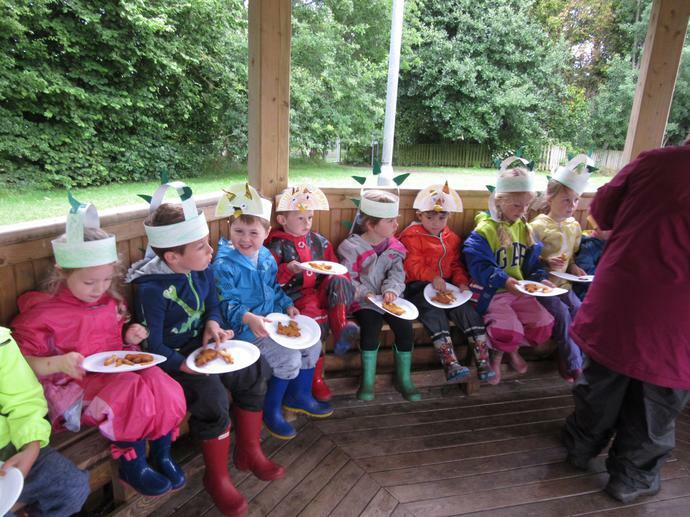 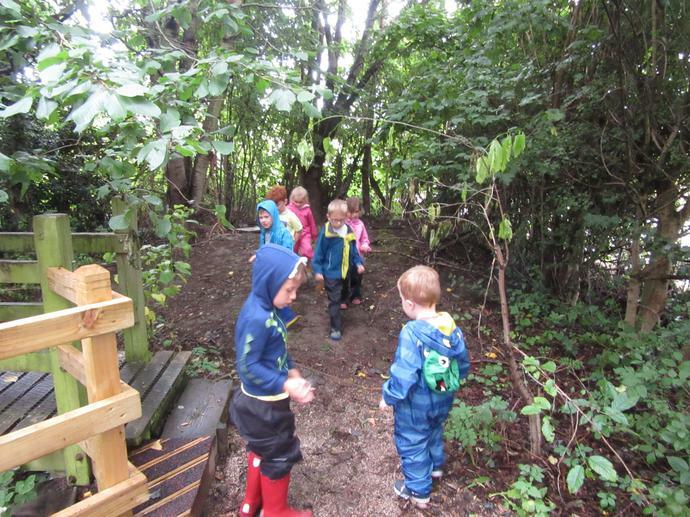 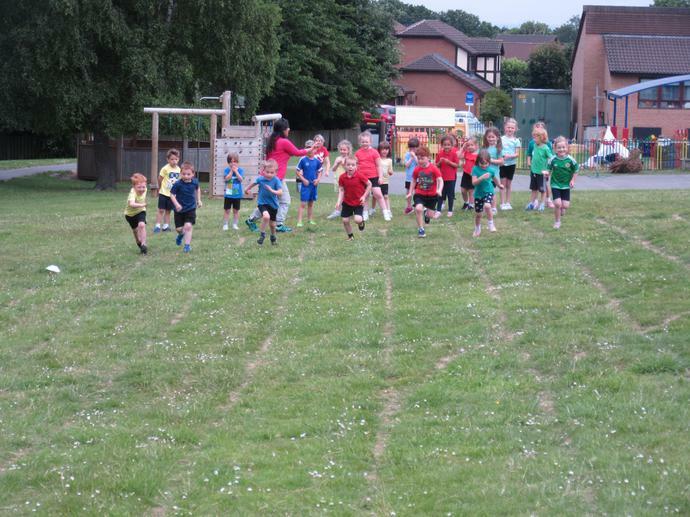 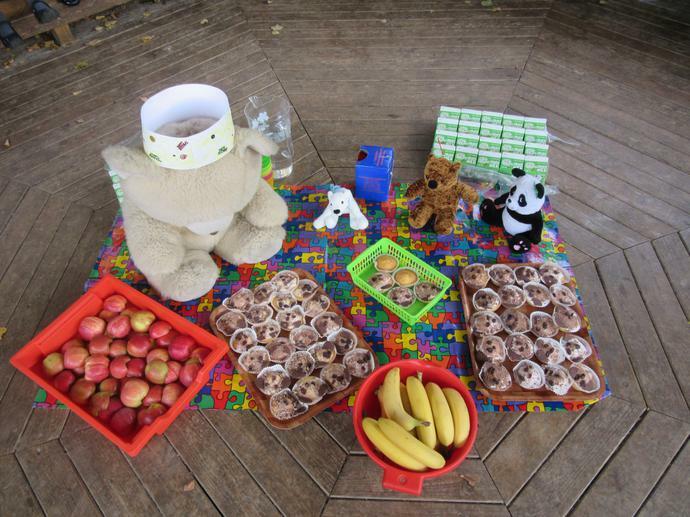 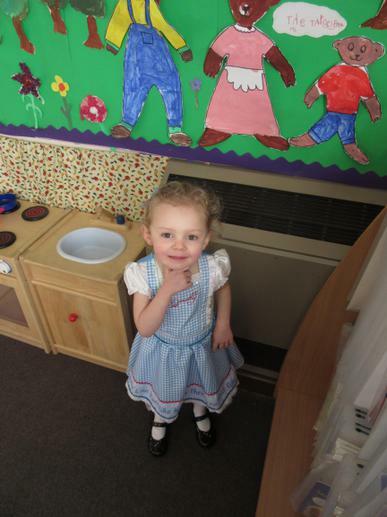 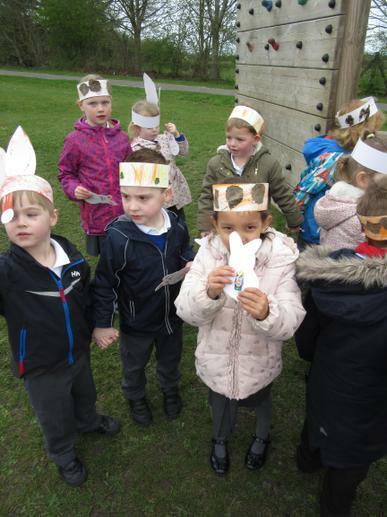 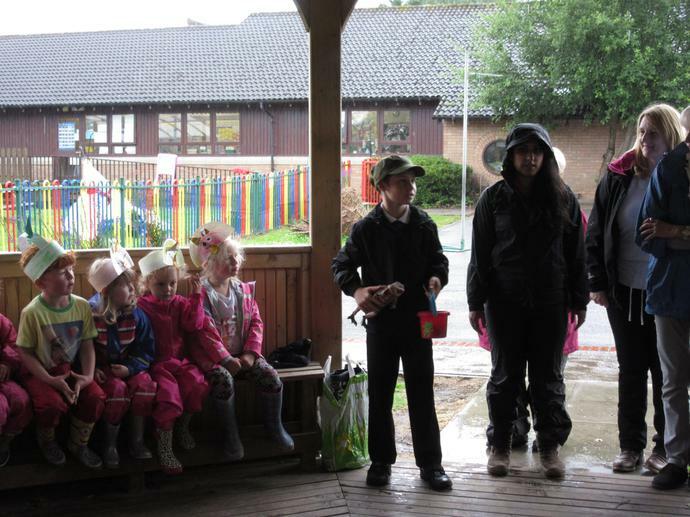 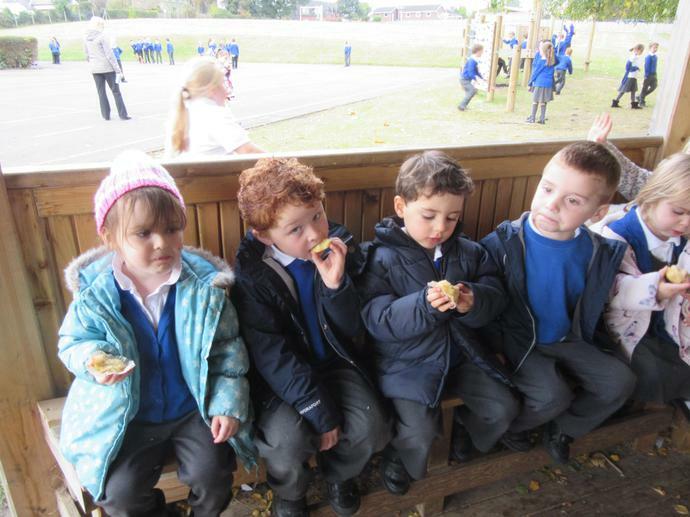 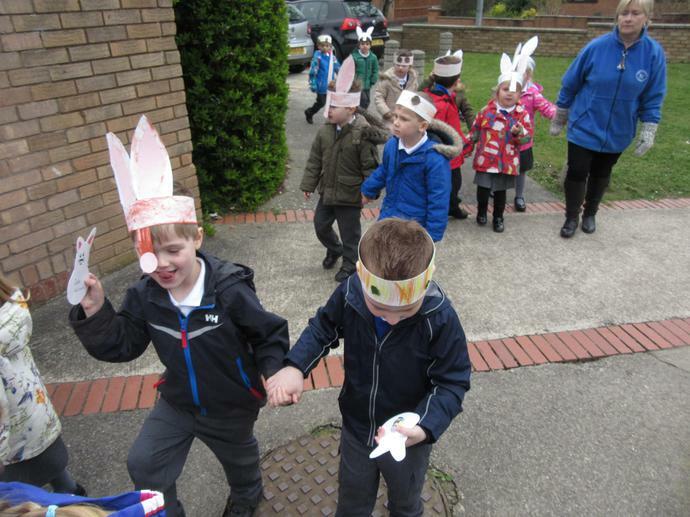 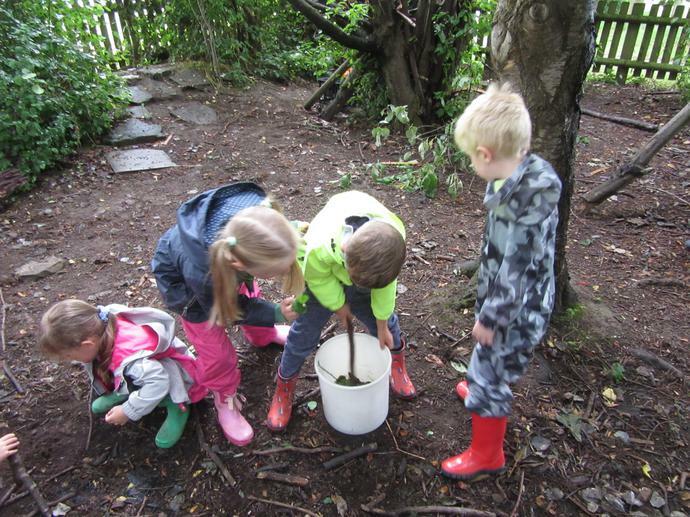 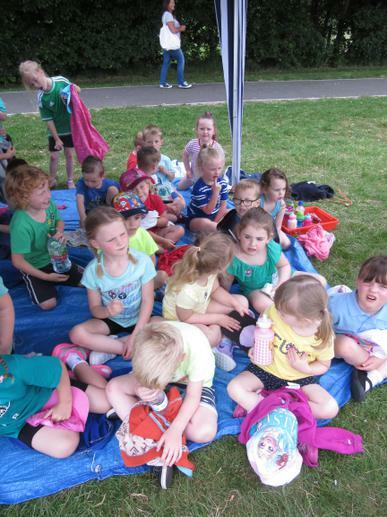 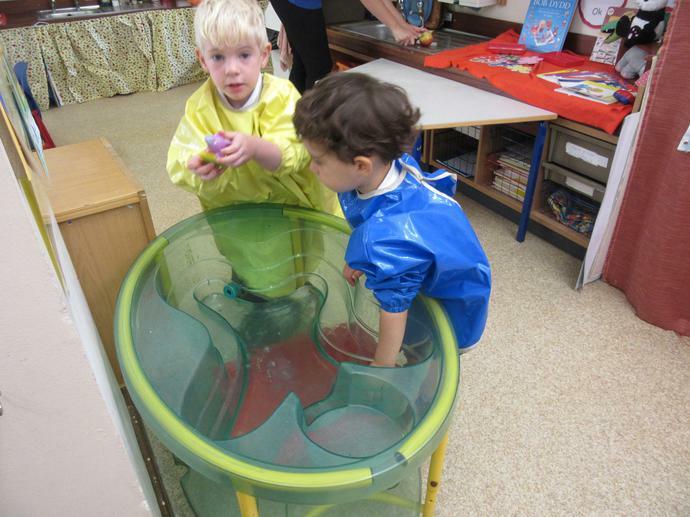 Nursery will need to bring their 'wellies' on Friday 19th May as they will be visiting Reception at Forest School. 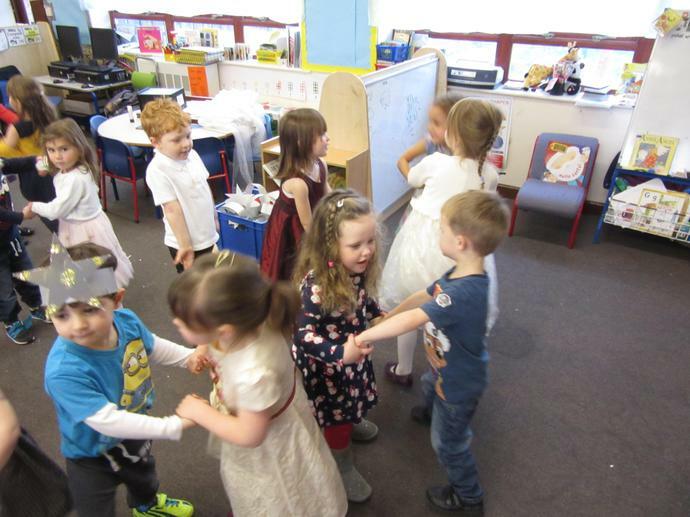 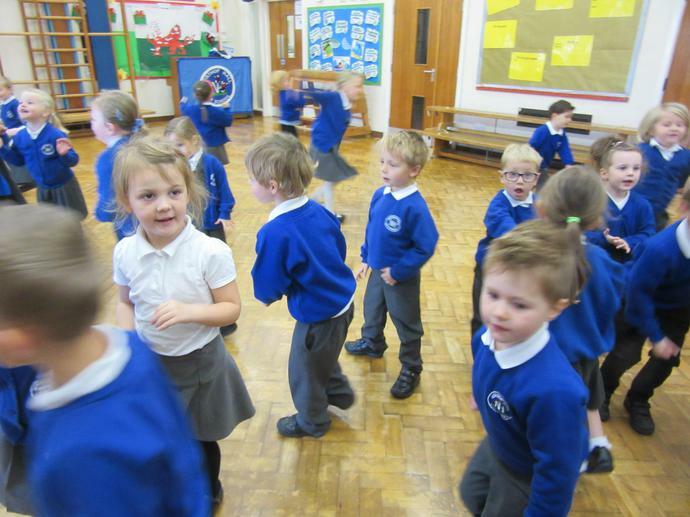 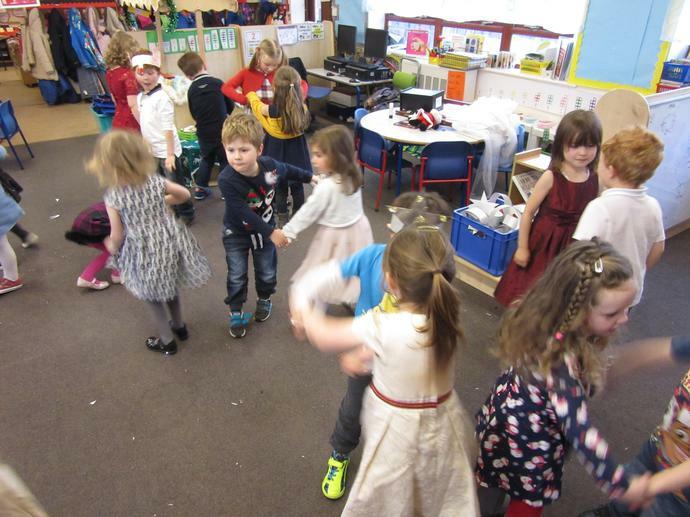 Last week in school we celebrated..
We had fun dancing in the hall. 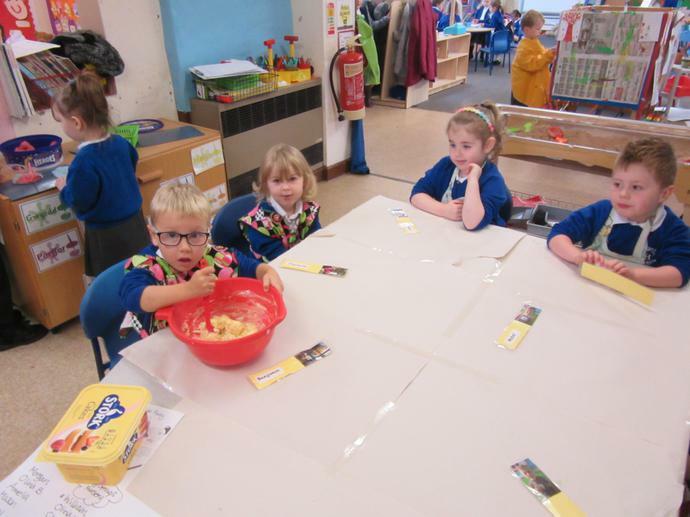 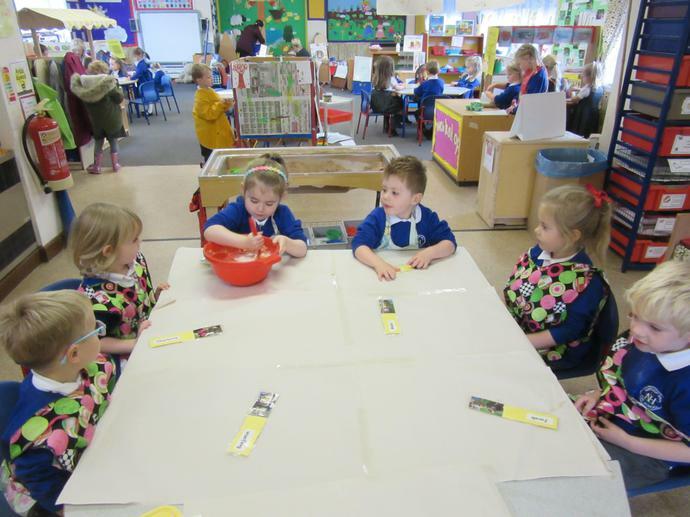 We had fun in our Pancake Cafe! 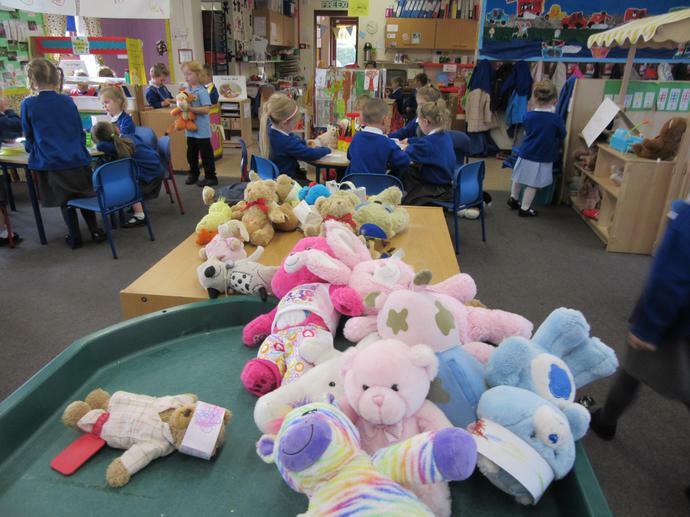 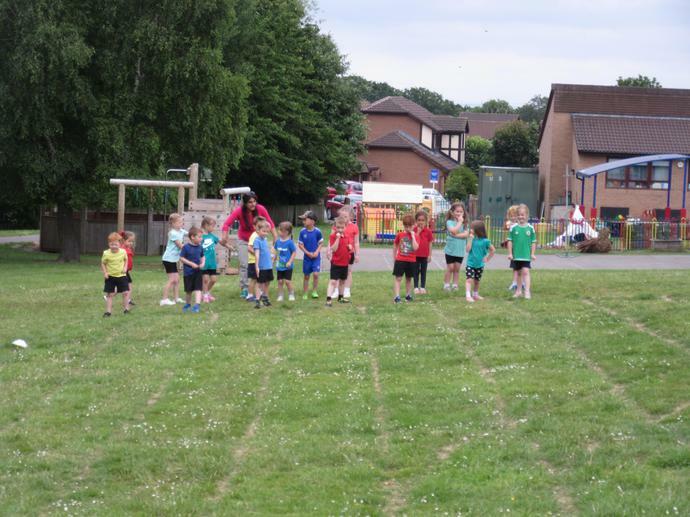 As from Monday 9th January, can you please collect your Nursery child from the front of the school building by the ‘Unit’ front door at 11.30 a.m. 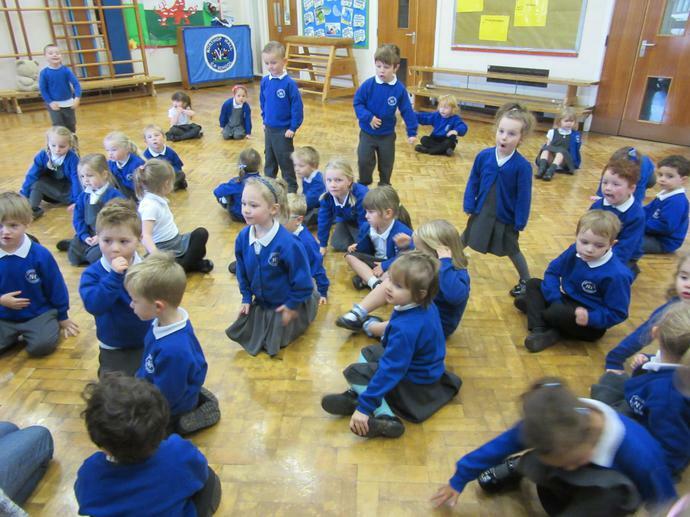 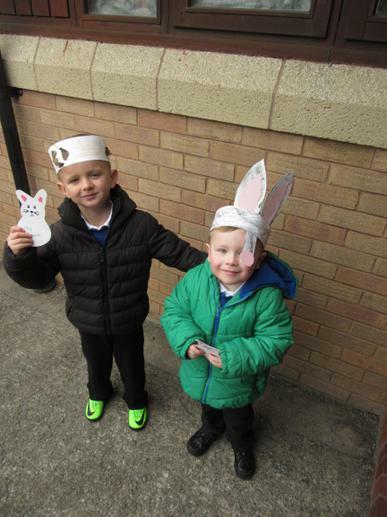 Please don't forget to dress your child ready for Nursery in dark jeans/leggings and a white t-shirt, for our dress rehearsal on Monday 5th and again on Tuesday 6th and Wednesday 7th for our concert days. 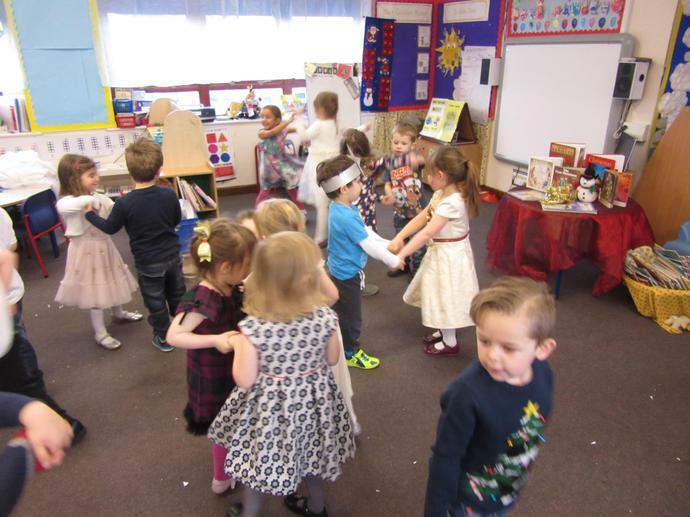 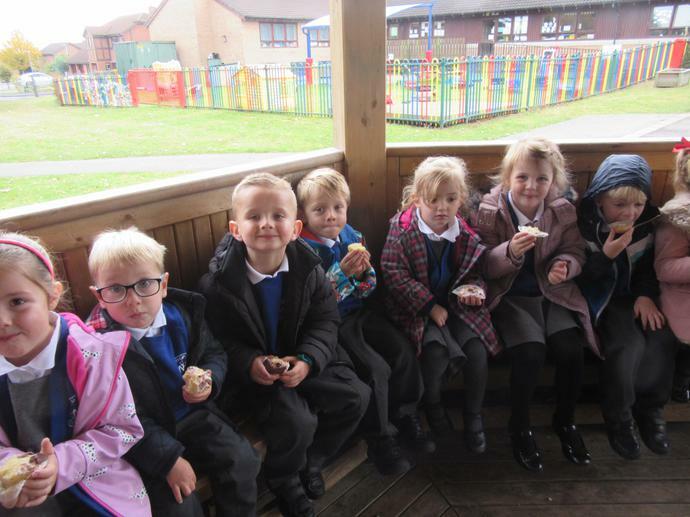 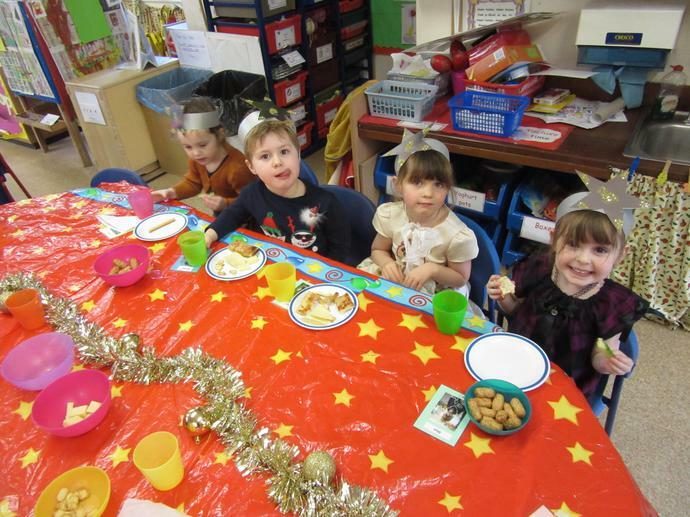 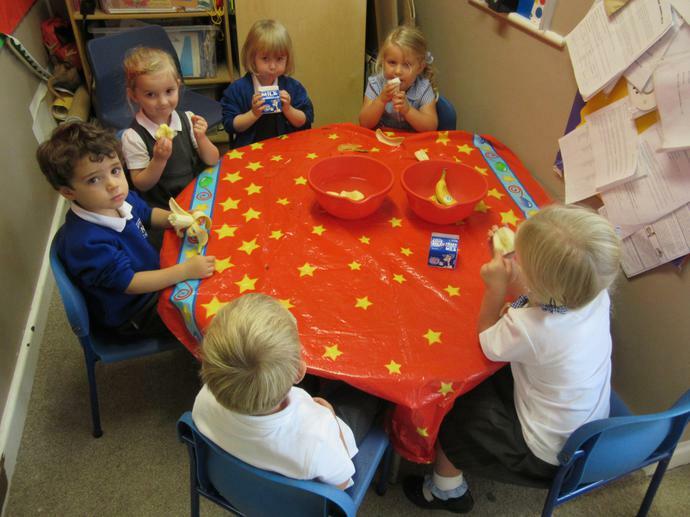 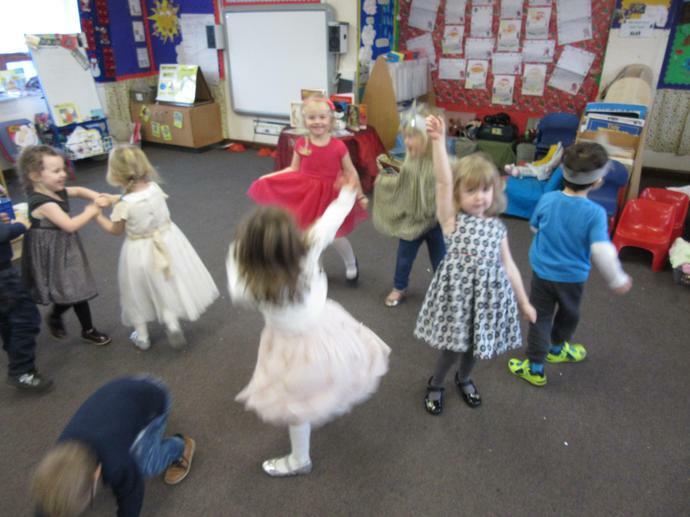 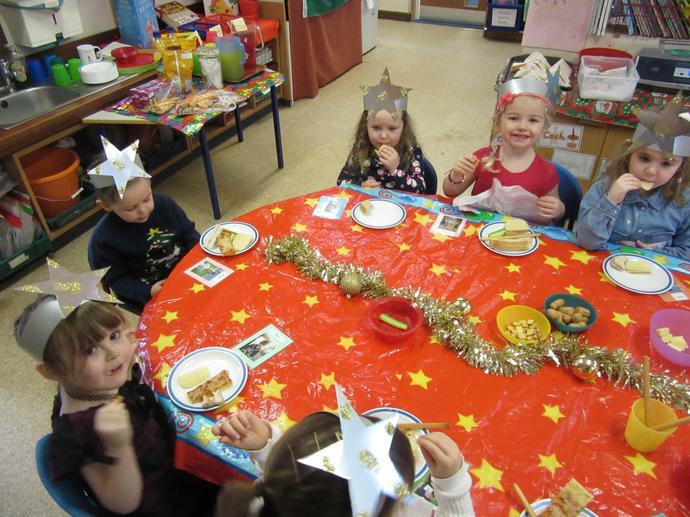 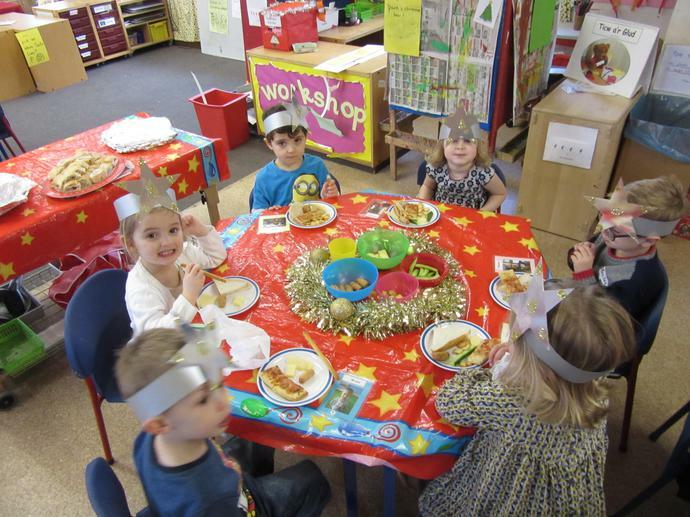 There will be no Nursery in the morning, on Wednesday 14th December, as we will be having our Christmas party in the afternoon from 12pm until 3pm (approx). 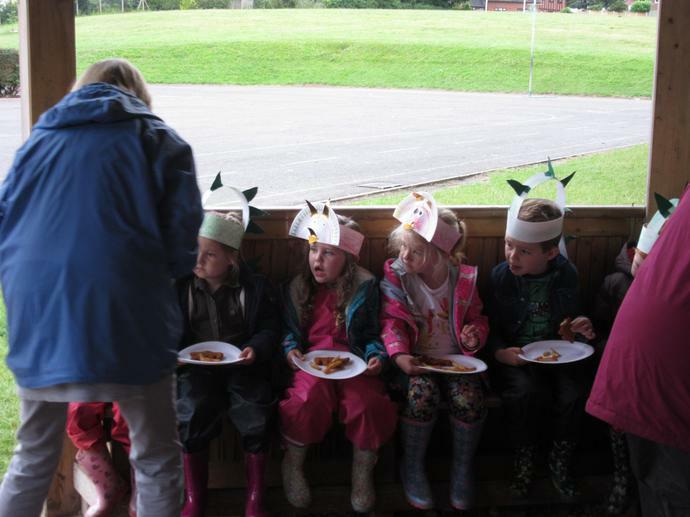 A list of party food/drinks will be available in the 'Wet Area' next week if you wish to make a contribution. 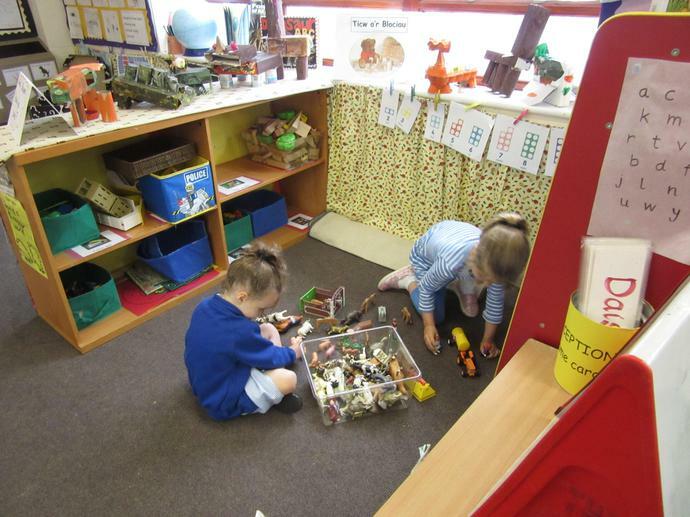 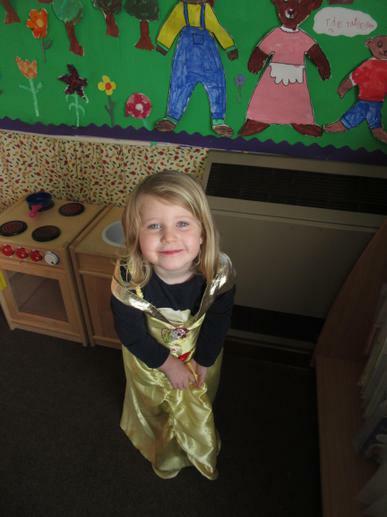 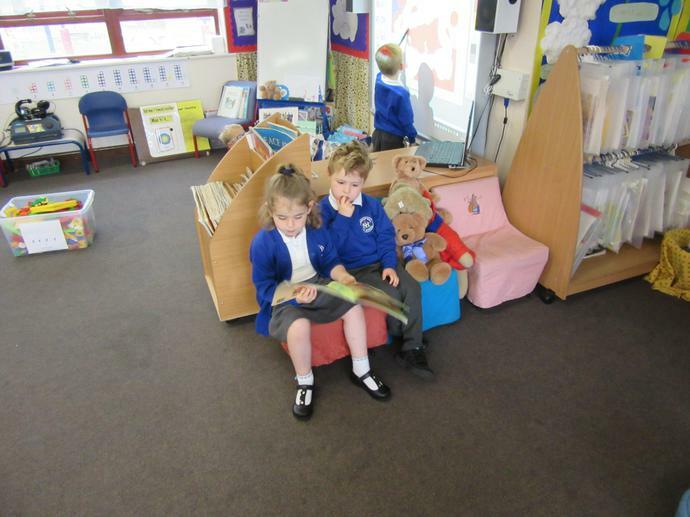 Next week will be the last week for Nursery library. 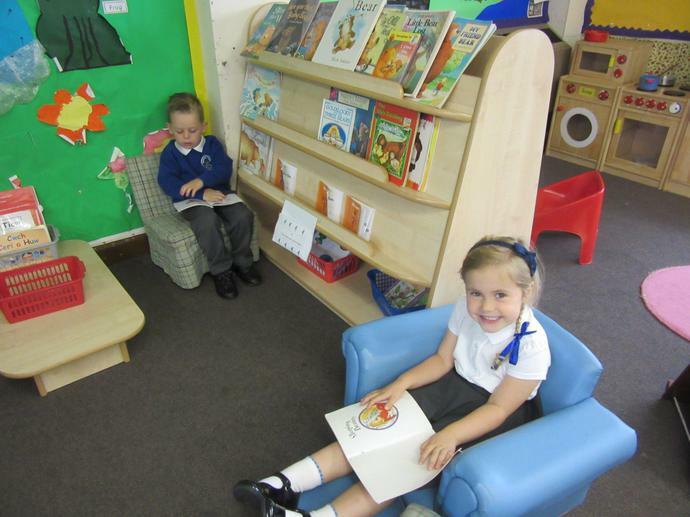 Would you please return all books on Monday 12th December. 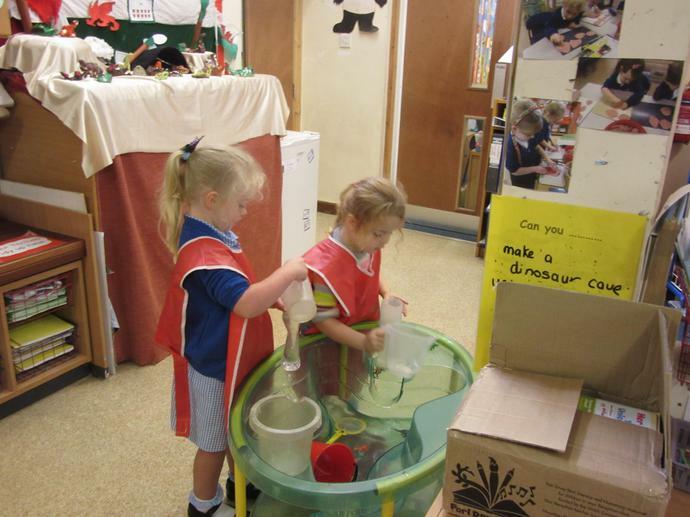 We have been busy making things to sell at our Christmas Fair. 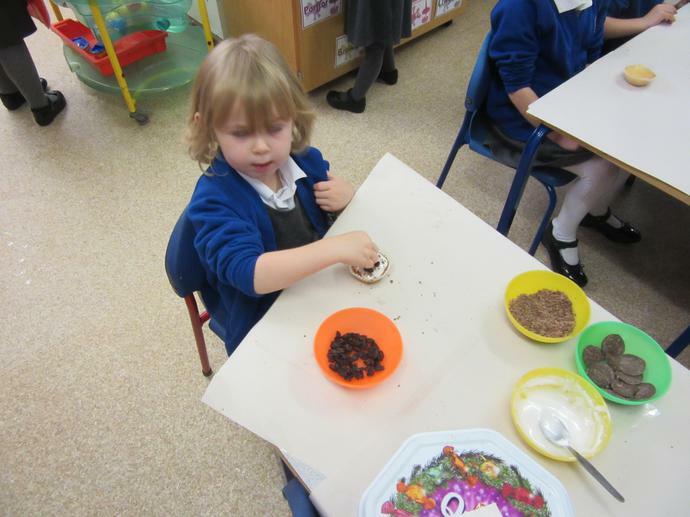 Stirring in a little magic sparkle. 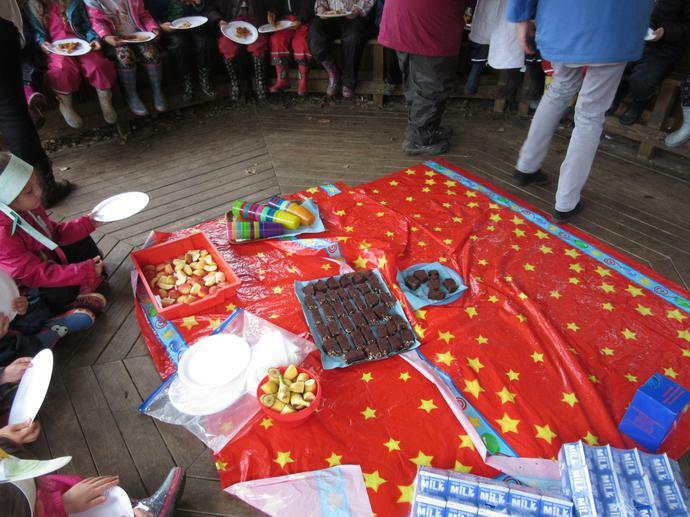 We had a party for Big Ted.